Social media are operating in a 'digital wild west' they say. Do social media cause mental illnesses in children and young adults? Some say they do, some say they don't. Members of the UK Parliament want to make sure, and they want social media to fund the research by charging higher taxes. The BBC is reporting that a group of MPs is advocating taxing social media companies and using those funds to research effects these digital tools have on their users. The All Party Parliamentary Group (APPG) on Social Media and Young People's Mental Health and Wellbeing says social media are operating in “an online wild west” and has invited experts, charities, parents and young people to share any evidence they may have which would confirm their suspicions. But it’s not just mental illnesses like addiction that may be caused by extreme use of social media, kids that use these tools are often victims of bullying, ending up inflicting self-harm, or generally getting a low sense of self-esteem. The group believes the company should tax social media companies 0.5 per cent of their profits to ‘fund research and draw up clearer guidance for the public”. They are also calling for the establishing of a duty of care on all social media companies with registered UK users younger than 24, and reviewing if the addictive nature of social media can be classified as a disease or not. 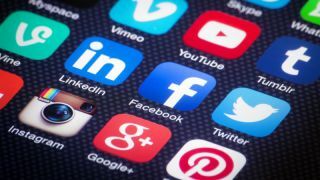 "For far too long social media companies have been allowed to operate in an online 'wild west',” said Chris Elmore MP, chair of the APPG on Social Media and Young People's Mental Health and Wellbeing. "And it is in this lawless landscape that our children currently work and play online. This cannot continue. As the report makes clear, now is the time for the government to take action."